If you’ve ever thought suicide was the only way and death was meant for you, or maybe you’ve walked through fire and experienced Hell on earth and you’ve fought and prayed and cried, but you still see no other way out. 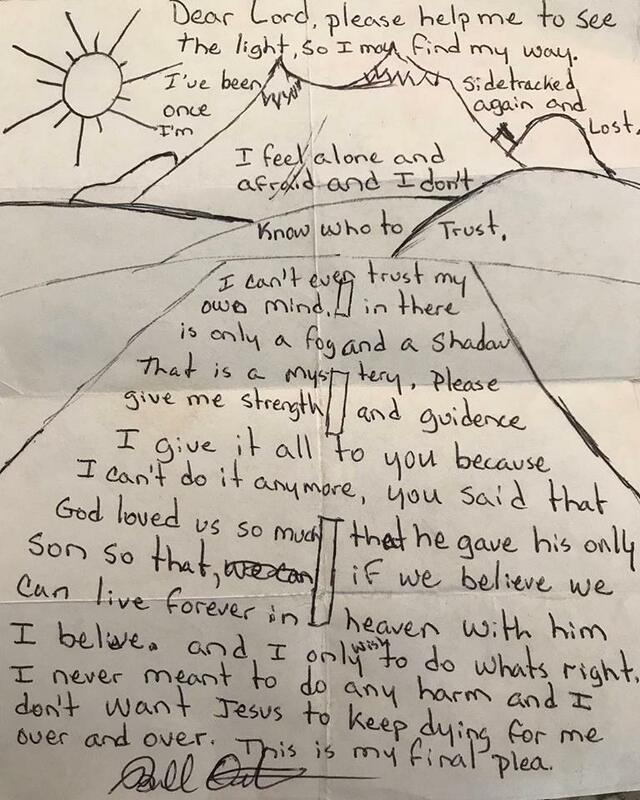 This is my Dad’s suicide note. I was 14 years old and I’ll never forget the confusion, the pain, or the loneliness that ensued after my school counselor and some social workers told me the news. I was devastated. I thought it was my fault. And I thought I deserved to die instead. I obviously don’t know everything that you’ve been through. The weight of your mistakes are overwhelming. The pain from your past might be staring you in the face. God wants to meet you in the middle of this depression, this anxiety, this regret. WHATEVER it is, He wants to give you a way out and remove these feelings of hopelessness. God wants to bring you PEACE. Not by way of death, but peace by way of LIFE. Dad, please don’t take your life. Mom, please don’t do it. Brother, please ask for help. Sister, there are hotlines and 800 numbers for this. Son, get help, whatever the cost! Whoever you are, wherever you are, you are valuable. You deserve to live.